Colwyn Bay Rotary - Welcome! The Rotary Club of Colwyn Bay was chartered in 1927 and last year celebrated the 90th anniversary of its Charter. We enjoy living on the beautiful North Wales Coast between the sea and the mountains, and we hope this site gives you a taste of who we are and what we do. President Ted Francis and Rotarians visited Conwy Freewheelers and presented them with a cycle purchased with the Club's donation of £700. 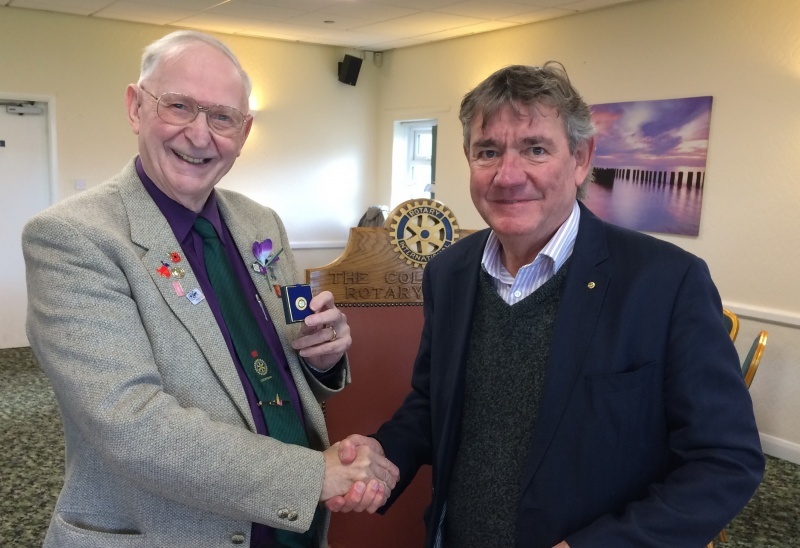 Colwyn Bay member Rev Peter Jennings was recently presented with a Sapphire award to add to his PHF recognition, here seen awarded by District 1180 Foundation Chair Philip Horwood. President Alan and 80 guests celebrated the 90th anniversary of the first meeting of the founding members of Colwyn Bay Rotary Club at a Charter Luncheon at Colwyn Bay Cricket Club. A magnificent meal was served by Martin, Melanie and their crew (pictured below) and the nautical theme was continued throughout the speeches and the address by Rt Hon David Jones MP. An excellent day was had by all. Rotarian Donald Saunders celebrated his 40th year in Rotary and 25th anniversary of his Presidency of the Club by presenting a magnificent optical glass trophy recognising Exemplary Vocational Service by club members. It is to be a perpetual Trophy, and Donald was delighted to present the 2018 award to Rtn Jim Barry in recognition of his valiant work as organiser of our formal Mock Interviews over the past 6 years. A miniature version was awarded to Stephen Walburn, the previous year's holder. The signs have been provided and funded by GallifordTryplc, the national firm of civil engineers who were responsible for the Colwyn promenade improvements and beach reshaping in 2014 and Conwy County Borough Council provided technical advice and support to the Rotary Club. There has always been a way and now The Rotary Way will greet and bid a fond farewell to travellers as they arrive and depart from Colwyn Bay guiding, welcoming and supporting all as required, true and faithful to the fundamental principles of the worldwide organisation known as Rotary and the Rotary Club of Colwyn Bay. We made a presentation to Kyle Weaver and his Grandad Derek Hobson to enable 5 year-old Kyle to be fitted with new leg braces to assist with his walking and to pay for travel to Glasgow for specialist treatment for a year. Here the presentation is being made by President Stephen Walburn and members of the Club. 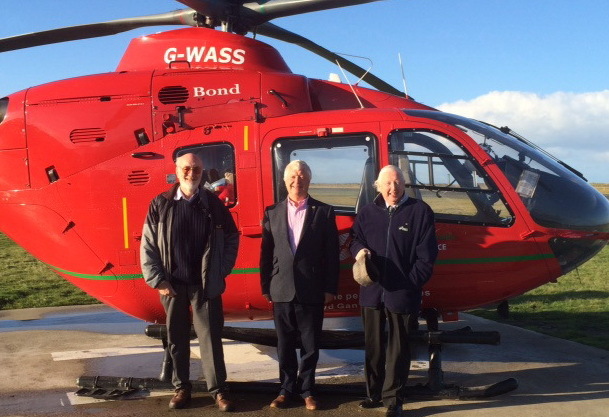 John Barker, Terry Deakin and Brian James had an exciting day out at the Wales Air Ambulance base at Caernarfon Airport where they presented a cheque for £500 to support the vital service. The Club benefited from a legacy from former member Bill Meredith of Â£2,000 and it was agreed by our Projects Committee that this would be donated to Colwyn Link audio magazine for the blind as Bill suffered sight loss in later life as a result of a stroke. 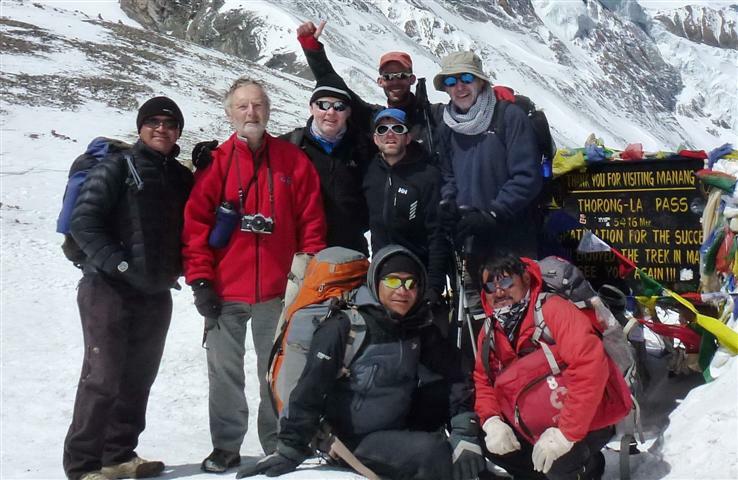 The Secretary Stephen Walburn is to be interviewed for the magazine giving the background to the donation, and also to hear about Stephen and President Graham's 3-week trek on the Annapurna Circuit Trail last April. (pic - Graham and Stephen 2nd & 3rd from left). 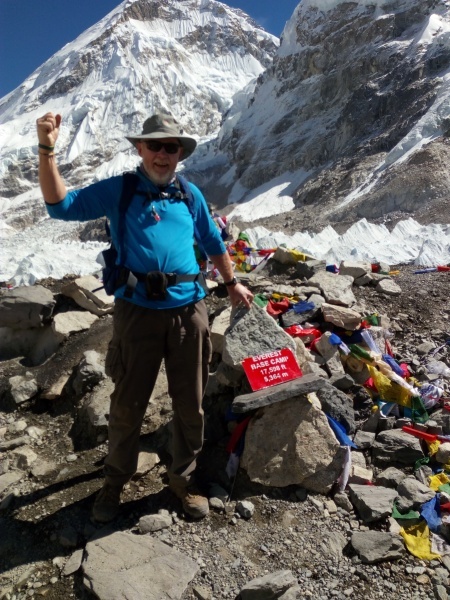 Stephen also trekked to Everest Base Camp in 2017! 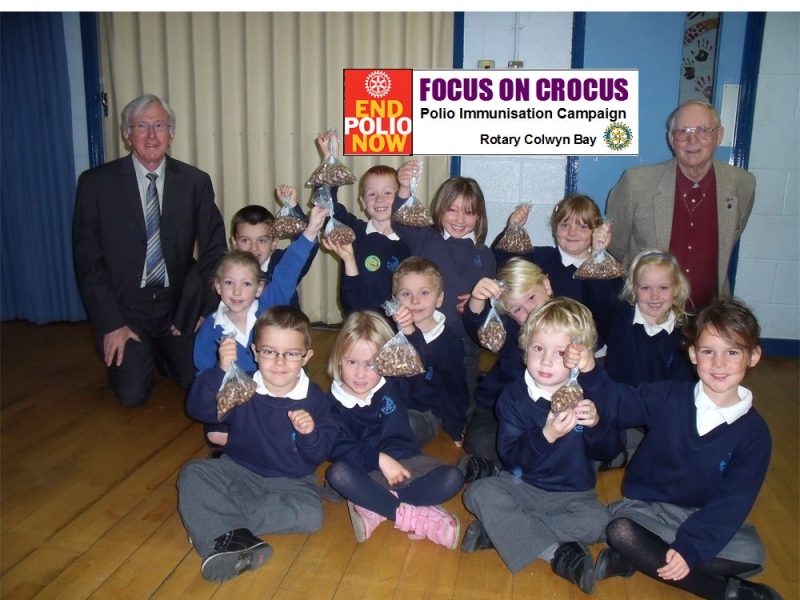 The Focus on Crocus campaign to "turn Colwyn Bay purple" in February has been taken up by several local primary schools in the area encouraged by our Foundation Chairman Peter Jennings who has expertly explained the connection between the "purple pinkie", the little finger painted purple after a child has received the Polio immunisation, and the purple crocus. Each child is being offered 5 crocus bulbs to plant in a container of their choice and these will be judged on Rotary Day on 23rd February to find the most unusual, quirky or magnificent "Bunch of Five".